CMOs from leading advertisers such as Procter & Gamble Co. have ratcheted up their criticism of the state of advertising. They take particular issue with the lack of measurement or the failure to effectively connect dots between ad spend and product sales. ‘As advertising is coming under scrutiny, the consumer’s attention is wandering away to [Amazon’s personal assistant] Alexa,’ Mr. McQuivey said. ‘As both of these things happen at the same time, this weakening confidence in digital advertising coupled with a consumer interest in looking elsewhere such as Alexa to get their needs met, it raises the opportunity to question advertising, not just tweak it,’ he said. 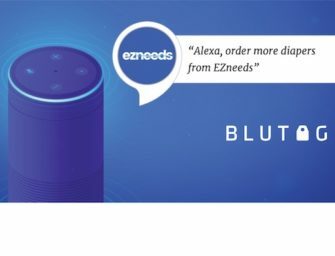 Ad Budgets Shifting to Alexa? Interruptions are coming to an end. The report goes into much more detail, but you don’t need to think hard to envision a world in which Alexa answers most of the questions you search Google for today. Or a world just a few years beyond that where your persistent personal assistant (PPA) scrapes all the best bits from your Facebook feed and reads/shows it to you stripped of unnecessary things — including the top 10 concerts you don’t care that your friends went to as well as the advertising you are not interested in…Marketers can fight this, publishers can fight this, but it will happen. The question remaining is what role will marketers play in that hypermediated world. That last term is important. We already have a mediated digital world thanks to Google, Facebook and other aggregators of content. However, accepting that mediation is mostly a choice. Consumers can go around these platforms if they want to directly access the source content. It is most often a matter of convenience. And, these platforms also have features that offer multiple choices about how users access and consume content. AI will offer more precision, but will narrow choice at the same time. You will receive one search result instead of a page with 10 curated options. You will receive a limited number of social media updates instead of an endless scroll of browsing options. When AI becomes a proactive agent for consumers, tasks will be executed before a choice is offered. Interruption-based marketing can still work when it comes to long-form content such as entertainment, but it becomes much harder to insert into other common activities. The question for marketers is how they will get noticed and chosen by AI. That is why marketers must have a presence on platforms like Amazon Alexa and Google Home as I outlined in a 2016 Huff Post article. The challenge is to rethink advertising and marketing as conversations with intelligent voice-based agents such as Apple’s Siri, Amazon’s Alexa, Google Home and Samsung’s own Bixby. These agents will be artificially intelligent and constantly improving, with access to information and products that is current and pertinent to the consumer’s search or shopping needs. ‘It means advertisers are going to find out very quickly whether their brands or products are suitable for a conversation,’ Mr. McQuivey said. That may be true. Google served an ad through Google Home recently and quickly received a rash negative feedback on social media. Were people reacting to the ad or to the context in which it was served, as an interruption to a routine activity. There were some conversational elements in the advertisement for a Disney movie, but the device initiated the conversation and not the user. The challenge for marketers is threefold. This is a whole new world for marketing. Interruption advertising isn’t going away. However, ad dollars always follow consumer attention and engagement. Voice assistants like Amazon Alexa are capturing both.